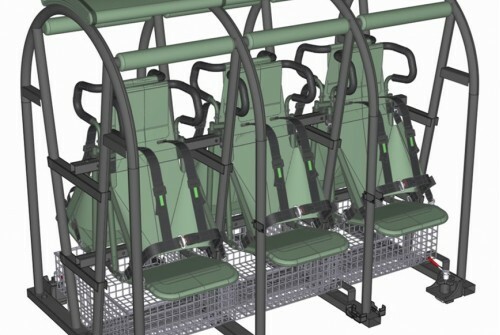 TEK MILITARY SEATING is a major global designer and manufacturer of vehicle seating for the defence sector, with a wealth of experience and innovative solutions whilst raising protection and safety standards across all platforms. Innovation and modularity is at the core of our product development, which enables us to offer a wide range of modules to tailor seats to customer requirement, without the need of additional engineering and tooling. The ProTEK® seating range includes solutions for driver, commander and crew, as well as more bespoke requirements such as loaders, turrets and limited space seating within main battle tanks and tracked artillery howitzers. Our expertise within legacy fleets, improvement of safety and protection standards, improved functionality, utilising modern materials and processes to reduce weight, whilst making stronger seats, has become a benchmark within our brand. Working closely with our customers on both new build and legacy fleets, we offer a full CAD integration service and FEA modelling to maximise protection and safety levels, whilst keeping costs down. Our advances in blast attenuation seating have been industry and market leading, with the introduction of ProTEK® SV - a specially formulated foam insert which can be integrated into most seats. ProTEK® SV has been designed to reduce shock forces during a blast event - fully tested and certified it offers Stanag 4569 AEP55 blast protection on vehicles with a velocity rating of 4mps or less. TEK Military is constantly looking for products to help improve safety and protection - the development of ProTEK® seat belt pads are another example of simple, low cost products making a huge difference. The fitting of ProTEK® pads on a harness seat belt reduces shock impact by over 65% when a vehicle is involved in a blast event or traffic accident. The ProTEK® SV foam within the pads protect occupants from excessive shock forces, often experienced by occupants in such events. 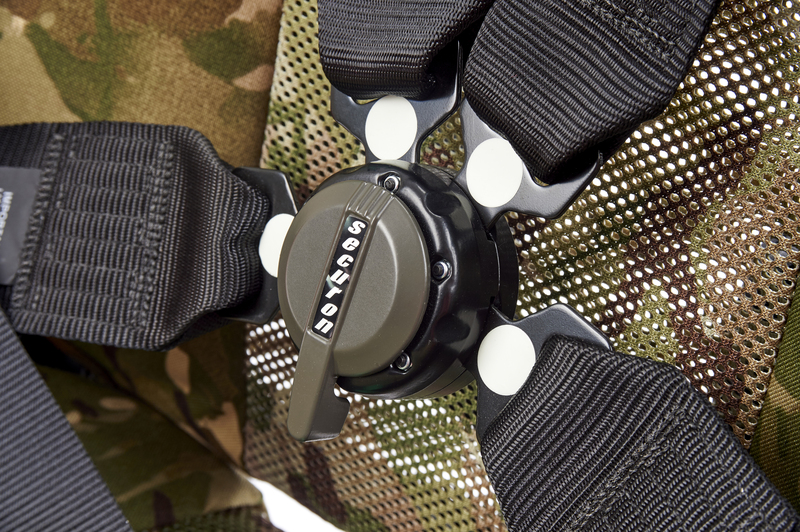 The ProTEK® buckle cover was developed using feedback from customers regarding the standard Stanag 25-9 harness used by NATO troops. Whilst an excellent harness seat belt, those fitted to vehicles with open tops and exposed to the elements where harness buckles are not used often, there is a possibility that water and dust could affect the buckle operation. With this in mind TEK Military has designed a simple, effective, cover which fits the Securon buckle and stops the increase of dust, sand and water.